Apparently, Arni Asgeirsson is in love with the Polish atmosphere – check out the interview about working on his films, how he prepares for the set and what does he thinks about the Ultima Thule project. UMP: We have just had the masterclass and you explained the value of the trial days before shooting. You emphasized how important it is to you, so can you imagine working without this preparation? Árni Ásgeirsson: It takes years to make a film. First of all, you start with a script that takes around two years. One year is just figuring it out and then actually making it takes another. So, five to seven years is some sort of standard for the execution of a film, sometimes it’s even longer. Once you have the production stage ahead of you, you start preparation – find the locations, do shortlists with your cinematographers and all the endless things that need to be taken into consideration. Then you show the film in the cinema and what the audience is really looking at are the people and interactions between them, because that’s what cinema is all about. UMP: Yeah, that is the story’s essence. Árni Ásgeirsson: Yeah, so while it takes five to seven years, not to find two weeks in that period of time to sit down with the actors and figure it out how to give life to these characters – it’s just abstract to me. UMP: Nevertheless, it happens anyway. There were many cases where the actors complained after the film’s premiere that they didn’t really felt prepared. Sometimes it’s an excuse, but it may also be the case of the lack of this time to work out the characters. Árni Ásgeirsson: It’s a shame, you know. You put all your heart into it, your soul into the project and you don’t find time to properly prepare yourself as a director and the actors. As I said, it’s shame – from my experience, because it always brings out the best performances – believable, credible and concrete performances. We are all on the same page then, we know what the characters are all about, their relationships, what tone we are looking for in each given scene. The second argument is that it simply saves a huge amount of time, especially knowing how expensive shooting is. You have more time to nourish each scene, because you don’t have to spend the first two hours on how would you like the scenes to look like. You can make more shots, make more takes and go into details with the actors, you just talk about the tiny nuances. That brings out the most credible performances and in the end, it’s going to evoke the emotions in the audience. UMP: I spoke with some Icelanders who work in the film industry and what I heard mostly is the fact that it is quite difficult to actually direct a movie there. It’s a relatively young and small market. So, what were your experiences when directing Undercurrent, the film shown during Ultima Thule? Did you encounter any similar problems? 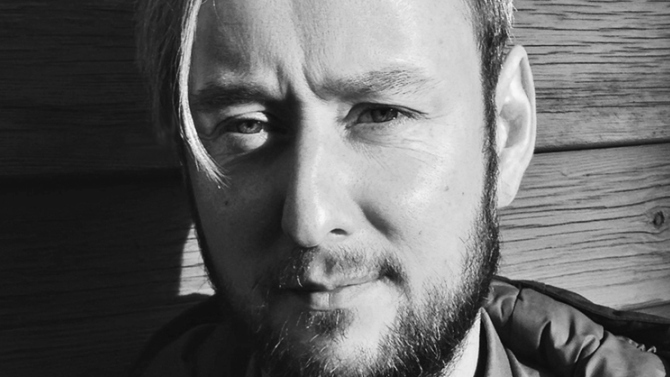 Árni Ásgeirsson: Well, it’s true that the industry is young, but still it’s old enough. We already have enough qualified people in every position to be able to make a film that looks like a film (laughs). Made anywhere else, you know. Of course, our main problem – and it’s a problem of every country that makes movies – is the script, the good stories to be portrayed. But hopefully we are getting better with that and the film fund back there is developing the screenwriters’ base. We are putting more and more efforts and time into script making really. The main headache is script, but I was lucky to have a great cast and great producers, so I didn’t experience any difficulties like that. The only exception would be the fact that we were shooting on the sea, so we struggled with the elements – bad weather, waves. People got seasick and the crew or the actors, they were puking over the ship. Árni Ásgeirsson: Yep. Yet, it was an experiment for me, this film. It didn’t have a “classic” beginning, it all started when I went to a theatre. There was a group of friends of mine, an independent artists’ group and they were putting a very small theatre play called Brim, or Undercurrent in English. It all takes place in one room, on a boat and it is obviously about the people on that boat. It was really an off production, with no money, so I went to the theatre and I didn’t know what was I going to see – my friends were just doing a crazy little play, I thought. Afterwards, I was very fascinated by it, so I met with them and I told them that I loved the characters and the story, but also the setting of it, because it was so visual. The rusty boat, the bad weather, the sea, all these elements. And also Iceland really relies on this connection with the sea. It’s been done, this flirting with such topic, but there was never really made a film on a boat. We started meeting up, I asked a friend of mine – Otto Borg – who is a screenwriter, to help me to write this theatre play into a film. And I wanted to work with the same actors too. UMP: You didn’t want to change the winning strategy? Árni Ásgeirsson: They came up with the idea, so we all wanted to turn it into a film. We changed the play a lot, so the final feature is more inspired by the previous version than actually an adaptation. So, through a series of session we’ve met with the actors, brainstormed, met again and went back and forth over the year. What’s interesting, when I met the actors on the set, they were already living with these characters for a few years, you know. UMP: We can say that they had the right vibe for these characters. Árni Ásgeirsson: Yeah, it’s the same cast and the play became quite popular. That was interesting, I consider it a very nice experiment. So, all in all, the biggest problem we had, was this puking (laughs). UMP: (laughs) And the weather I guess. Árni Ásgeirsson: Yeah, that too. UMP: So, you also mentioned some of the films that you liked, during our previous meeting during the masterclass. We worked on the Revolutionary Road in that workshop, but if you could name films or artists you were looking up to or influenced you? Árni Ásgeirsson: When I was a kid, those were the times of the VHS. UMP: Oh, the glorious days of VHS. Árni Ásgeirsson: Yeah, glorious days of VHS. Around the corner, where I lived, there was this really nice VHS rental and its owner was a real film buff. He was by far the best one in Reyjkjavik, he had all of the films’ history in there. And me – I was just a film buff too, I just liked watching movies. When I turned seventeen or eighteen, I was introduced to the European cinema – Goddard and Truffaut, then Tarkovsky, Kieslowski, who was really popular back then. So, slowly, I got really drawn in by this Eastern European style of filmmaking. There was something very weird about it, that I certainly liked. UMP: So, the aftermath of this fascination was studying here, in Łódź? Árni Ásgeirsson: Yes, that’s why I went to Poland, I was really intrigued by some of the Polish films I have seen, some Russian and Czech too. I liked the early Milos Forman works for example. There was something about that Eastern vibe that got me. I didn’t really understand what it was, but just the atmosphere in these films got me really soaked into them. Then I started looking for a film school and it was not too long after the wall has fallen, when suddenly half of the continent opened up and the world too. For me, it was very exciting, to check out this part of the world. I was never really interested in going to a film school in England or Scandinavia, America. It was also about trying something new for myself – a new culture for example. And basically to understand how these masters got into filmmaking simply. So, I was very inspired by these guys – Forman, Kieslowski, Polanski, Wajda, Tarkovsky, but of course, also the other masters like Scorsese, Fellini, Goddard, Bertolucci, Coppola. The list is very, very long. UMP: I can imagine! Regarding the Ultima Thule project, what attracted you to the project? Obviously, it’s the promotional aspect of the Icelandic culture and film, but maybe in your case, there was a sentimental reason attached too? Árni Ásgeirsson: I use every opportunity to come back to Poland, because I really love this place. UMP: That’s great to hear. I have seen a lot a of Icelandic films recently, spoke to some artists from there and I was just wondering about one thing. You mentioned being drawn by this Eastern vibe, so do you feel that Polish people are getting interested in the Icelandic culture too? Since many immigrants in Iceland are Polish, maybe there is a special bond that you see too between Poland and Iceland? Árni Ásgeirsson: And you love the dark humor too. In that sense, Poles and Icelanders get along quite well, we have more things in common than we could think of at first sight. UMP: To end our conversation – are you currently working a project? Árni Ásgeirsson: Yes, this time it is an animation, for kids. We are just starting, so it’s gonna be out in two years. And then, I work also on commercials, direct also here in Poland. I’m lucky to come back here several times a year, work a little bit and spend time with my friends. And just enjoy this crazy country. A little chat with some amazing people from Iceland, who visited Warsaw to exhibit the beauty of the Icelandic culture. This week is dedicated to the most climatic, fairytale-like place in Europe. Ultima Thule, a project aimed at promoting Icelandic culture in Poland, has arrived in Warsaw, bringing the country’s most notable films to Iluzjon cinema. And I had the great opportunity to speak with three gentlemen representing the festival – Christof Wehmeier from the Icelandic Film Centre, Steven Meyers from Reykjavik Film Academy and Rúnar Rúnarsson, the Oscar-nominated director of Sparrows and Volcano. UMP: Thank you for the opportunity to talk a bit. Let me begin with stating that Icelandic films are still not that popular among the Polish viewers. It’s understandable that Ultima Thule is a “move” to change this perspective. But what makes Icelandic films to be special among other European countries? Christof: You start (turning to Rúnar). Rúnar: Okay. Well, we do a lot of various films at this time. There is a tradition of author cinema in Iceland and at the time when the genre cinema is flourishing, becoming more and more relevant to the rest of the world, it has been the author cinema from Iceland that is travelling the globe, the festivals, gaining awards. The reason for the author films for getting this recognition might be the fact, that the Icelandic cinema is relatively young – it started in 1980. It’s such a small market that the author cinema filmmakers cannot really rely on tickets, on crowdpleasing. But even though, we have managed to let these “voices” be heard abroad. These are the works of artists of this particular country, not by any other. Christof: I would say that this last year was our banner year. We had three great films – Rams, Sparrows and Virgin Mountain, before we’ve had Of Horses and Men in 2013 and Life in a Fishbowl in 2014 too. As Runar said, we have a specific voice, also with this special background of the Icelandic landscape. These films are usually also very personal stories. Even in comparison with other Nordic films, we still vary from others thanks to this voice. Icelandic films are also gaining on the recognition – there are usually three or four films that are made per year. And they also create a positive picture of our nation too. From my perspective, I would say that we emphasize this positive image, because we would really like to forget about the financial crisis that hit us. Nevertheless, I hope that the Icelandic cinema will keep this momentum that we have today, we should keep it. And it’s not only the case of film industry – also music and literature, which are highly valued too. UMP: Like the emergence of Sigur Ros, which was the first Icelandic band to gain this huge popularity? Christof: Yes, Sugarcubes were the case, then Björk and eventually Sigur Ros. But there so many other artists. Steven: The only thing I would add – if you guys would agree – is that there is still an ongoing process of creating an identity of this cinema. Despite these great successes in the past, some unique voices as you say – there is still a lot to come. I see it as the beginning of a process. As to what differentiates these films from other national works – the Nordic, Scandinavian films – I am not sure yet too, except a lot of them tend to be shot in the western fjords? UMP: Maybe the atmosphere of the films? That’s how I see the Icelandic cinema. After seeing Sparrows, Brave Men’s Blood and some other titles, I came to a conclusion that it’s the role of nature. It captures the film’s atmosphere, what happens inside the characters’ minds. Would you agree? Christof: Yes, it’s true. I would also point out the Icelandic humor – it’s a bit sarcastic, but there is more to that. It’s sometimes the so-called dark humor and this might be the reason why the Icelandic films stand out from the rest of Scandinavian ones. But as Steven and Runar pointed out, there is still a lot ahead, hoping more to come in the near future. Rúnar: What could be also interesting is that the other Nordic countries measure us to them, like we tend too. But they have a strong filmmaking school tradition, backed up by the governments. Majority of filmmakers there go through these schools, which creates a foundation for their narrative approach. In Iceland, we have only a private school and therefore, most of the directors studied abroad, gaining different perspectives. Then there are self-taught artists, who constitute a substantial percentage – so there isn’t a strong editorial line, if I may say so, to a strong film school. This causes also a bigger variety of the voices in the Icelandic cinema. Steven: Voices, experience, training – it’s very true. UMP: I also would like to ask about the films Rams. There was a strong back up for this film around Europe for this film to get an Oscar nomination. It also received multiple awards, even at the Cannes festival. [To Runar] Your short feature – The Last Farm – was nominated a few years back too, so my question is this – would it change a lot for the Icelandic cinema if Rams received this nomination? Rúnar: You win some and you lose some. That’s how it is, the film’s been doing pretty well, but eventually it didn’t happen. Steven: Besides Runar’s film, there was another Icelandic film nominated once – Children of Nature. But of course, each nomination of such great statue means a great deal to the individual filmmakers and the industry as a whole. There was a certain expectation, or maybe hope that this might be “the year”. At the same time, we have to put those things in a perspective. In the end of the day, there are things that matter a lot more. Despite that, the success of this film is great and it’s fantastic to see it. Christof: This particular films has done 1.1 million admission figure worldwide so far and it’s a festival film. Honestly, I really thought it will be shortlisted and I believe it deserved it, but you know how the competition goes. It’s really expensive to plug the film, spend lots of resources on marketing and advertising. But after all, it has won lots of festival awards – it would be nice, but there is nothing to worry about. Rúnar: This marketing element in the Oscar race, after they’ve changed the procedures for the foreign language films, makes it almost impossible for small films to make it to the competition really. Especially without huge, financial backup. The regulations have changed – now relying on the number of people going to specific screenings, then there is a formula that calculates, which film will eventually get the nomination. It might be bold to say, but this is a system for lobbyists. It’s a game of huge money. Christof: Yes, there’s lot of plugging on the way. It’s how it is. UMP: Unfortunately. But going back to Ultima Thule – what are your expectations from this event? That more people will watch Icelandic movies or maybe new opportunities for cooperation with the Polish filmmaking industry might emerge? Steven: All of the above, possibly. As you may know, this project started a year ago. When I was approached by the film archive here about this idea of a project that they had – showing Polish films in Iceland and other way round – many other elements were involved. There are workshops for children that started back in Reykjavik in August 2015, series of film concerts for kids, seminars and discussion revolving around the screenings in both countries. Furthermore, we had a really successful program in November regarding the Polish cinema. We were really surprised how many people came out to see them and we hope for the same here. Hopefully, apart from the sharing culture aspect, there would be the business side of it – we will become more familiar with each other and establish some working possibilities in the future. Rúnar: It’s interesting for Iceland especially that the biggest number of immigrants in Iceland are Poles. UMP: I didn’t know that to be honest. Rúnar: Yeah, so it’s highly relevant for us as well to explore these ties better and create some cultural exchange between Poland and Iceland. Just like this project aims at. UMP: Such festivals are great things to happen and to attend to, but majority of them happen only in Warsaw, when it comes to Poland. Frankly, this festival was already in Gdańsk and Poznań, but do you plan to go even further wit this project? Other countries maybe with slightly different version of this festival? Christof: Yes, we have actually done that. We cooperate with other Nordic film institutions, but around three months ago we had an Icelandic short film focus in Southern France. Furthermore, we had a Nordic Film Focus in Sao Paulo last year. Well, I myself am dealing with short films and documentary films in terms of international relations and film coordination, but that’s another story (smiles). Probably something going on in UK next year, something in Belgium this year and then Switzerland. We also plan to go with the Nordic Film Focus to Dubai. It’s a great way of introducing film culture, using different types of films. This might be the beginning of a beautiful friendship, I hope. UMP: I hope that too. Thank you gentlemen for the discussion. Rozmawiałem ze zwycięzcą konkursu 1-2 podczas WFF 2015 – Runarem Runarssonem. Ostatni dzień festiwalu był dla mnie jednocześnie najbardziej emocjonującym – o Wróblach nasłuchałem się sporo dobrego i z trudem udało mi się zdobyć bilety na ten seans. Po obejrzeniu filmu czekała mnie jednak jeszcze lepsza nowina – zwycięzca konkursu w sekcji 1-2 – Rúnar Rúnarsson – został zaproszony na dyskusję z widownią. Udało mi się zatem złapać Islandzkiego reżysera i zamienić z nim kilka słów o Wróblach. The last day of the festival was the most exciting one to me – getting the tickets for Sparrows wasn’t an easy task, but I just had to watch it since it received such a warm welcome during the festival. After the screening there was a surprise for the audience – the director of the film, Rúnar Rúnarsson, was invited for an open discussion. After that I was given a chance to talk with the Icelandic artist about his feature. UMP: I am really thrilled after viewing your film Sparrows. Even though it was light, sometimes even humorous, the ending was absolutely crushing. How did you manage to strike such a balance in your film? Jestem pod ogromnym wrażeniem Wróbli. Pomimo tego, że to lekki, czasem nawet zabawny film, zakończenie było wprost miażdżące. Jak się Panu udało osiągnąć tak mocny kontrast? Rúnar Rúnarsson: Let me start with saying thank you for this honey in my ear. Regarding your question – Sparrows is my second feature film – my first one didn’t make people laugh that much. There was obviously more of understanding of that humor in Iceland than other places. I also tend to weaven that humorous elements with irony, but the general problem here is the point of view of the author. While you are writing something, you might find those lines funny. Then you need around two years to process everything and things are no more funny to you. So either you have to believe that what you wrote will be perceived funny after that time or you need to come up with something new during the shooting. Zacznę od tego, że dziękuję za ten miód na moje uszy. Co do pytania – Wróble to mój drugi film pełnometrażowy – pierwszy nie wywołał u ludzi reakcji w postaci śmiechu. Oczywiście, w Islandii ludzie bardziej rozumieli pewne humorystyczne niuanse w porównaniu z innymi miejscami, gdzie pokazywany był ten film. Mam też tendencję do podszycia tych humorystycznych elementów ironią, jednak głównym problemem jest punkt widzenia autora. W momencie pisania pewne teksty wydają Ci się zabawne, ale potem przychodzą kolejne dwa lata produkcji i te same rzeczy już Cię nie bawią. Są zatem dwie opcje – albo uwierzysz, że te humorystyczne elementy nadal pozostaną zabawne po tym czasie, albo musisz wymyśleć coś nowego już podczas kręcenia. UMP: I was also curious about the casting. During the discussion after the movie you mentioned that the actor you’ve chosen (Atli Oskar Fjalarsson) was quite a good singer – did you put an emphasis on that aspect during the casting for Sparrows? Or some other features were more essential for you? Byłem również ciekaw kwestii castingu. Podczas rozmowy z widzami po projekcji, wspomniał Pan, że aktor grający główną rolę (Atli Oskar Fjalarsson) był całkiem dobrym śpiewakiem. Czy stawiał Pan nacisk na ten aspekt podczas obsadzania aktorów? Czy może ważniejsze były dla Pana inne cechy u potencjalnego odtwórcy tej roli? Rúnar Rúnarsson: The main actor should be somebody who looks this age and doesn’t have a voice that has gone into puberty (laughs). If I had a younger actor who was gifted with a beautiful voice, it could break one week later anyway – that was the uncertainty, the risk we would face. It also needs to be a person who can carry the film – especially considering the fact that Ari is in vast majority of the scenes. Then the stamina matters, surviving the 30 days of shooting, etc. Obviously, there is also the case of acting talent and the broad range of emotions one needed to express. Aktor w roli głównej musiał pasować wyglądem do roli nastolatka, a także nie mieć głosu przechodzącego mutację (śmiech). Nawet gdybym miał młodszego aktora obdarzonego pięknym głosem, tydzień później mogło się okazać, że jego głos się zmienił – to była ta niepewność, pewne ryzyko. Ten aktor musiał też umieć udźwignąć ciężar filmu – szczególnie przez to, że Ari występował w praktycznie każdej scenie. Potem są też kwestie związane z wytrzymałością fizyczną, wytrwaniem 30 dni kręcenia itp. Oczywistym aspektem jest sam talent aktorski i wachlarz emocji, które kandydat musiał zagrać. UMP: Was it his first feature film? Czy to był jego pierwszy film pełnometrażowy? Rúnar Rúnarsson: I made a short film called Two Birds, which I shot in 2007. It also won the prize in the short section here, in Warsaw Film Festival the year after. And this actor played the main role as well. He was only thirteen back then – since that movie he played in one full-length film and done a bit of television. W 2007 roku nakręciłem krótki metraż zatytułowany Dwa ptaki – ten film został nagrodzony również w Warszawie, podczas edycji festiwalu w 2008 roku. I ten sam aktor odegrał główną rolę – miał wtedy jedynie trzynaście lat. Od tamtej pory zagrał w jednej produkcji pełnometrażowej i nabrał doświadczenia w telewizji. UMP: So he basically had the background and capability to carry the weight of your film. Czyli zdecydowanie miał podłoże do tego, żeby udźwignąć ciężar Pańskiego filmu. Rúnar Rúnarsson: Yes, that’s it. UMP: I have seen a few Icelandic movies this year, even during the Warsaw Film Festival – Brave Men’s Blood for example. What I found intriguing is the role of the nature in all of your movies – was that also an essential factor in Sparrows and for the development of Ari’s character? W tym roku udało mi się zobaczyć kilka islandzkich filmów, nawet podczas Warszawskiego Festiwalu Filmowego – chociażby Krew Bohatera. Intrygująca jest dla mnie rola natury w tych wszystkich filmach – czy ona stanowiła istotny element w pracy nad postacią Ariego z Wróbli? Rúnar Rúnarsson: Everything’s within the frame needs to have a function. The landscape that is beautiful is not there solely to be beautiful – it needs to have a meaning, portray the character’s feeling. Those mountains convey also a religious meaning in my film. Wszystko, co jest zawarte w filmie, musi pełnić jakąś funkcję. Krajobraz, który zapiera dech w piersiach, nie jest tam tylko po to, żeby być pięknym – musi mieć jakieś znaczenie, odzwierciedlać uczucia bohatera. Te góry mają także wymiar religijny w moim filmie. UMP: What do you mean by that? Rúnar Rúnarsson: I have promised myself never to go there in my interviews and here I am again (laughs). Well, I am playing with a lot of metaphors in this film, especially related to Christianity. That’s why there is this spiritual sense of nature, of God’s creations and all the beautiful things that contrast with the bad side depicted in the film. You know, if theirs is darkness, there is also light. (Runar has also explained earlier after the screening that the title Sparrows also refers to religious symbols since these birds are related with innocence). Obiecałem sobie, że nie będę o tym mówić podczas wywiadów – a jednak znowu trafiłem na ten temat (śmiech). Używam wielu metafor w tym filmie, w szczególności związanych z chrześcijaństwem. Stąd to duchowe podejście do natury, tworów Boga i wszystkich pięknych rzeczy, które stanowią kontrast dla złej strony pokazanej w filmie. Tam gdzie jest ciemność, musi też być światłość. (Runar Runarsson wyjaśnił także podczas dyskusji po projekcji, że tytuł Wróble nawiązuje do religijnego symbolu – tytułowe ptaki są kojarzone z niewinnością). UMP: My last question is about the “losing virginity” scene. It had to be a very uncomfortable scene to shoot. How did the actors approached it? Moje ostatnie pytanie dotyczy sceny „utraty dziewictwa”. Wydaje mi się, że musiała być ona bardzo niezręczna dla aktorów. Jak oni podeszli do jej kręcenia? Rúnar Rúnarsson: All of the sensitive scenes – and there is more one such scene in this film – they go really fast when we shoot the material. The whole crew is on their toes, everybody’s extra-focused. The only people, who are present on the set are those absolutely required, the mics are on stands etc. Wszystkie „wrażliwe” sceny – a jest ich więcej niż jedna we Wróblach – są kręcone znacznie szybciej niż pozostałe. Cała ekipa filmująca jest bardzo skupiona, zaś na planie pozostają jedynie najbardziej potrzebne osoby np. mikrofony są ustawiane na specjalnych wysięgnikach itp. UMP: So there is the certain degree of intimacy provided for the actors. Czyli jest swego rodzaju intymność zapewniona podczas kręcenia tych konkretnych scen. Rúnar Rúnarsson: Yes, there is a complete silence on the set as well. I thoroughly go through the script with the actors so we can film those sensitive scenes as fast as possible. Tak, ponadto panuje wtedy całkowita cisza na planie. Przed kręceniem dokładnie analizuję scenę z aktorami, aby mieć ją możliwie szybko z głowy – tak robimy ze wszystkimi scenami tego typu. 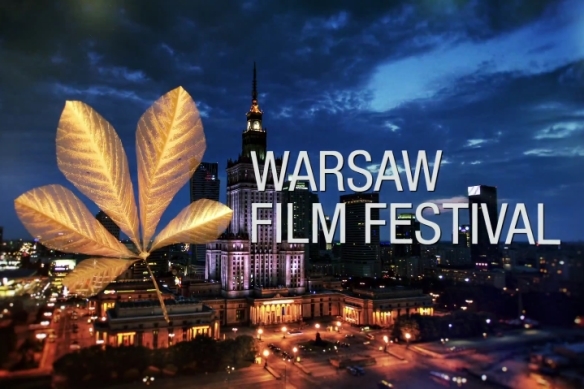 UMP: Jeszcze ostatnie pytanie – did you watch a lot of movies here at the festival? Jeszcze ostatnie pytanie – czy dużo Pan widział filmów podczas festiwalu? Rúnar Rúnarsson: I came on Friday evening, very late (the interview took place on Sunday – UMP). Then I’ve been meeting journalists, doing my Q&As. Przyleciałem późnym wieczorem w piątek (wywiad był przeprowadzony w niedzielę – UMP). Miałem spotkania z dziennikarzami, sesje Q&A itp. UMP: That’s a pity, because there was a lot of good movies here. Thank you for the great talk and once again, congratulations on Sparrows and your prize. Szkoda, bo pokazywano tutaj naprawdę sporo dobrego kina. Bardzo dziękuję za rozmowę i jeszcze raz, gratuluję Wróbli oraz wygranej podczas festiwalu. Rúnar Rúnarsson: Thank you very much. 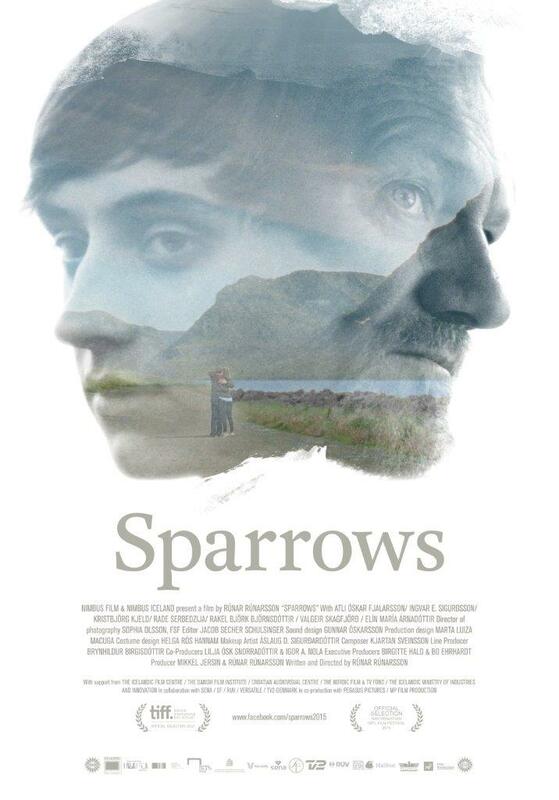 Review of Sparrows – click here. / Recenzja Wróbli – kliknij tutaj.